Casino party decorations, supplies and tableware for your poker night to liven up your party and get your guests in the mood to celebrate the Las Vegas style! Ok, so who is up for a game of Poker? 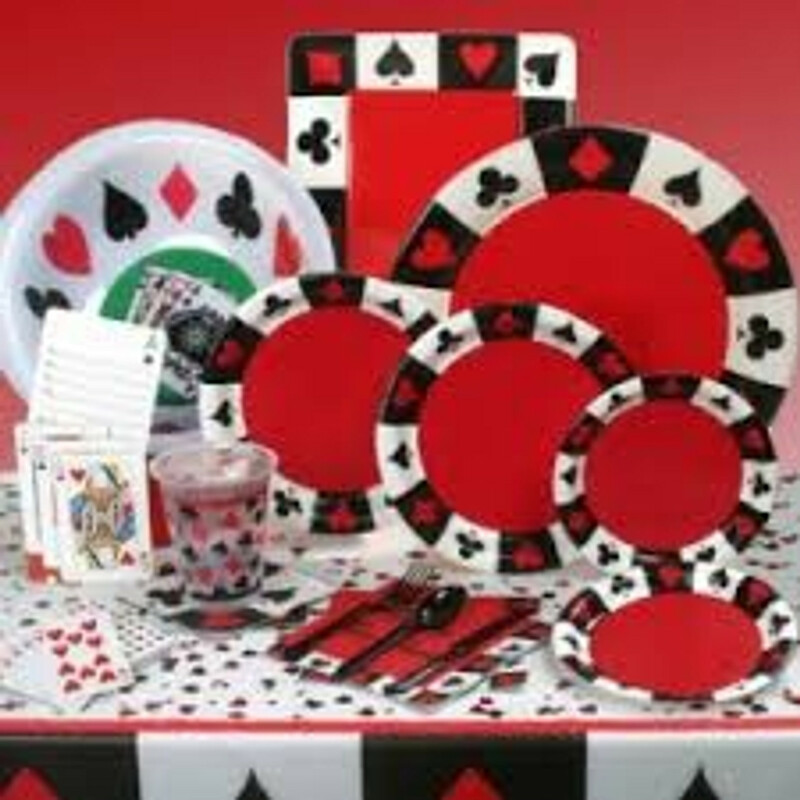 Set the scene with our casino styled party ware and decorations creating your own casino night including disposable tableware, coasters, decorations, whether you are recreating your own casino night or just throwing a themed party at Party Savvy we will deliver your party to your door. Party Savvy fact: The word casino is derived from the Italian word casa which means house. So what is the origin of gambling? Well the practice seems to date back to 2300BC by the Chinese. However, it was probably prevalent in most societies. In some countries casinos do not necessary mean a house of gambling but can be a theatre such as the Copenhagen casino.